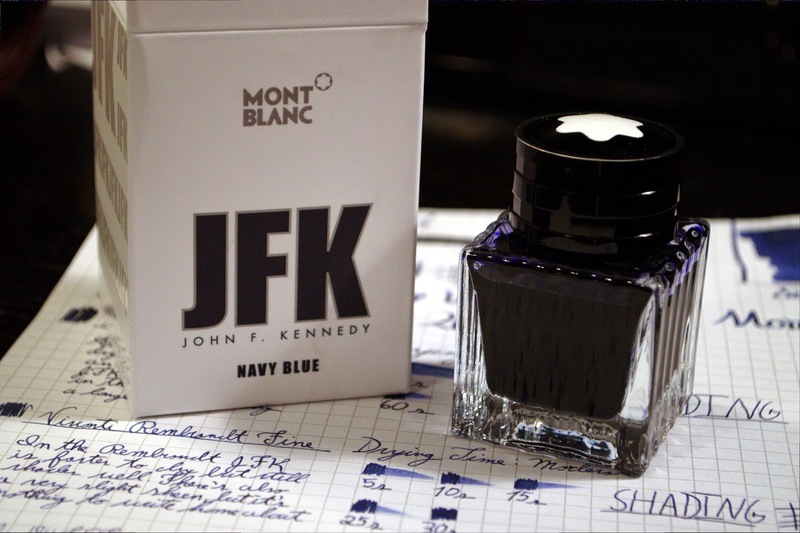 Montblanc JFK is a limited edition ink produced to go alongside Montblanc's JFK Great Characters limited edition pen for 2015. 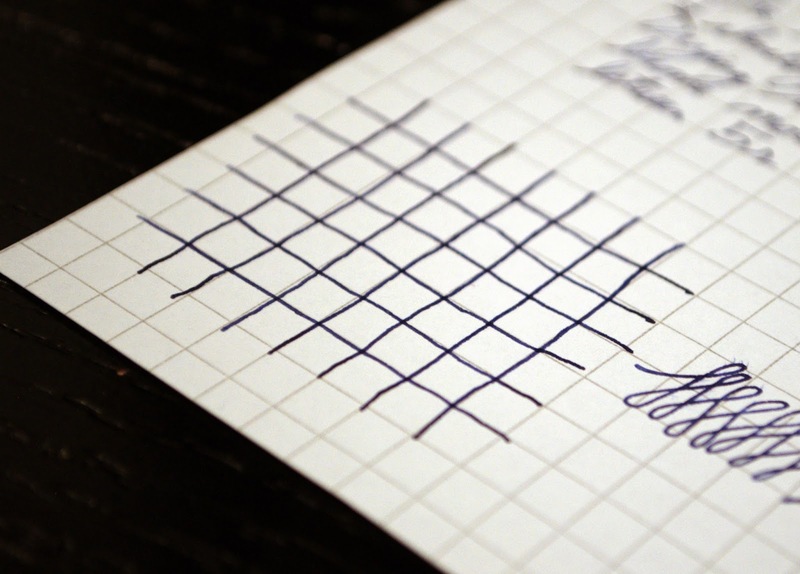 Every year, Montblanc produces a limited number of pens in commemoration of a "Great Character." 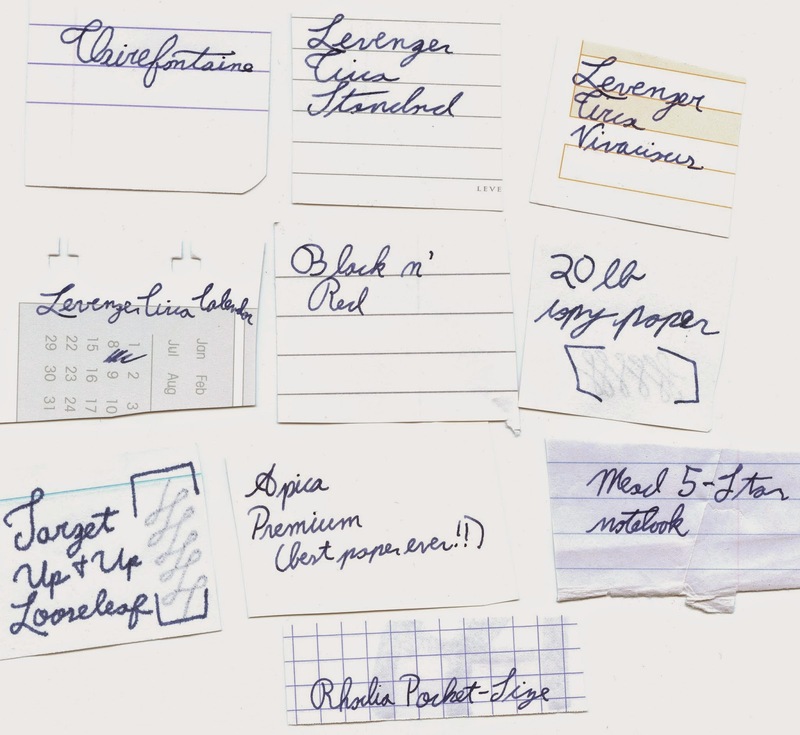 To go along with those pens, a matching ink is also released. This year's pen was produced in honor of former U.S. president John F. Kennedy, and this blue-black ink was produced to match. Supposedly, its color should remind you of Kennedy's characteristic blue blazers. 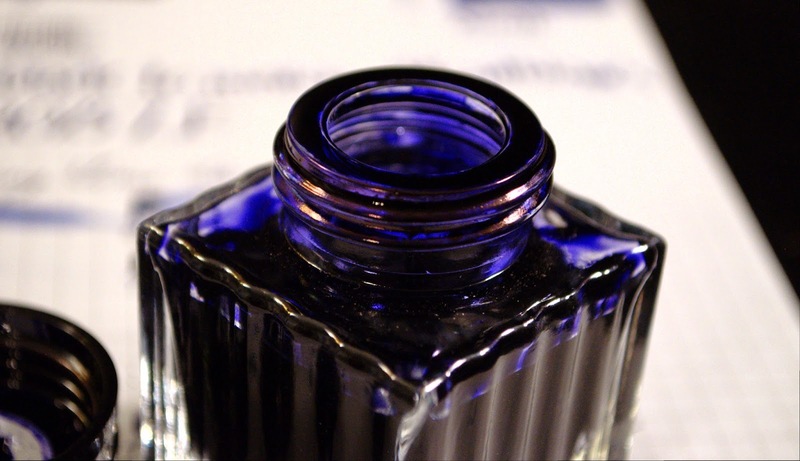 The ink itself isn't all that interesting: it's just a standard blue-black. 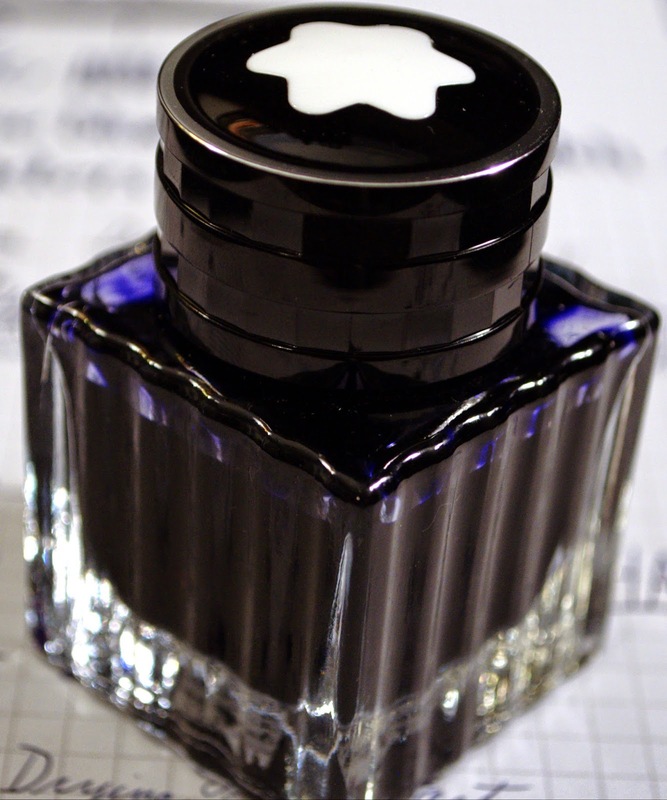 For that matter, I have never really liked blue-blacks; and this one doesn't do anything to change that, especially with a cents per mL cost higher than Iroshizuku's. 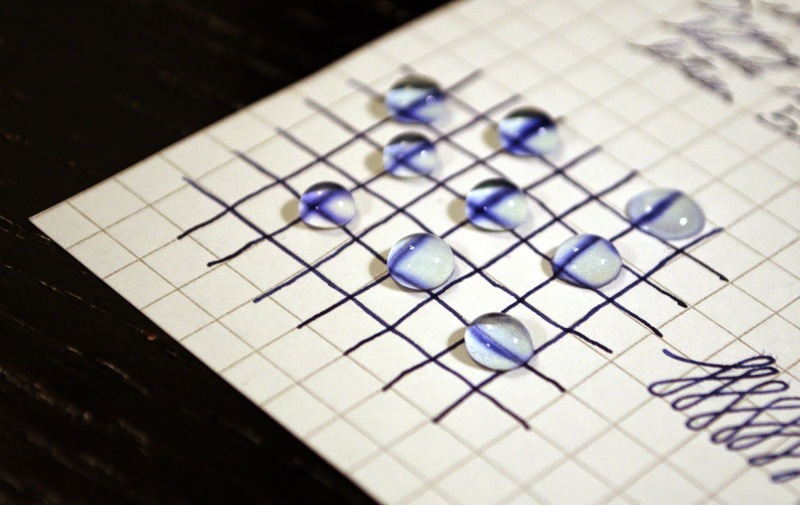 As is par with most inks of this color, shading is excellent; and water resistance is also good. 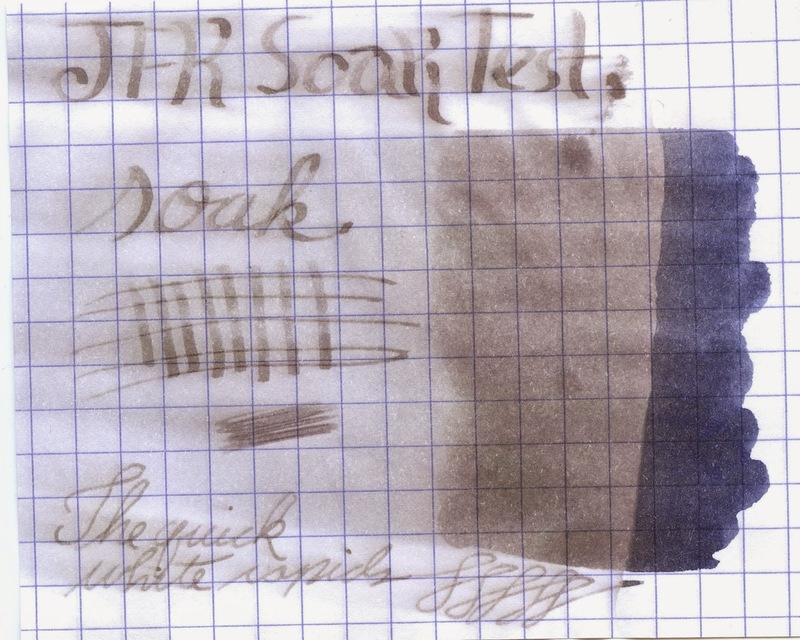 One issue I encountered with it is drying times: in a fine-nibbed Pelikan M200, this ink took over a minute to dry. Perhaps this was due to its being inked only a few minutes pior to writing, but the issue persisted even with my Rembrandt a few hours later. 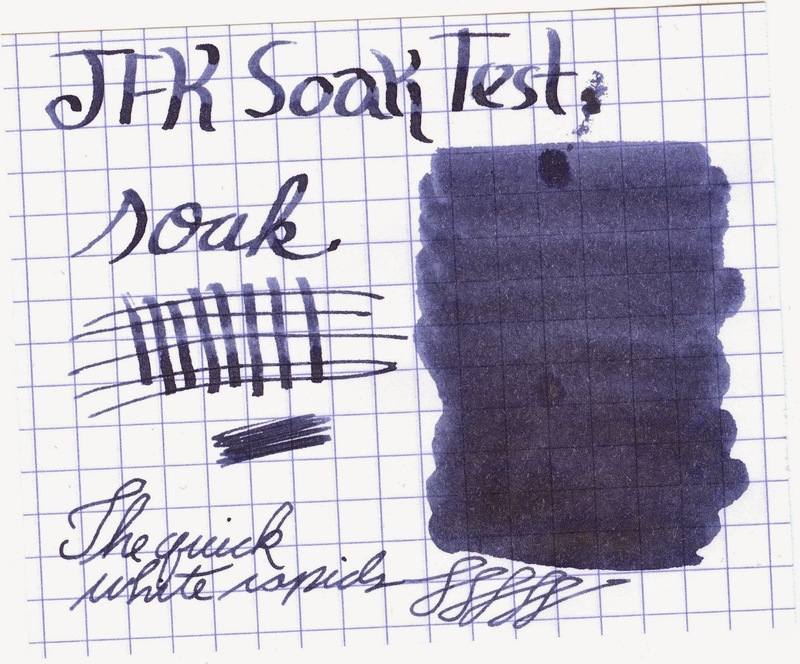 However, in the very fine EF Sailor 1911 S, JFK dried fairly quickly in just under ten seconds. 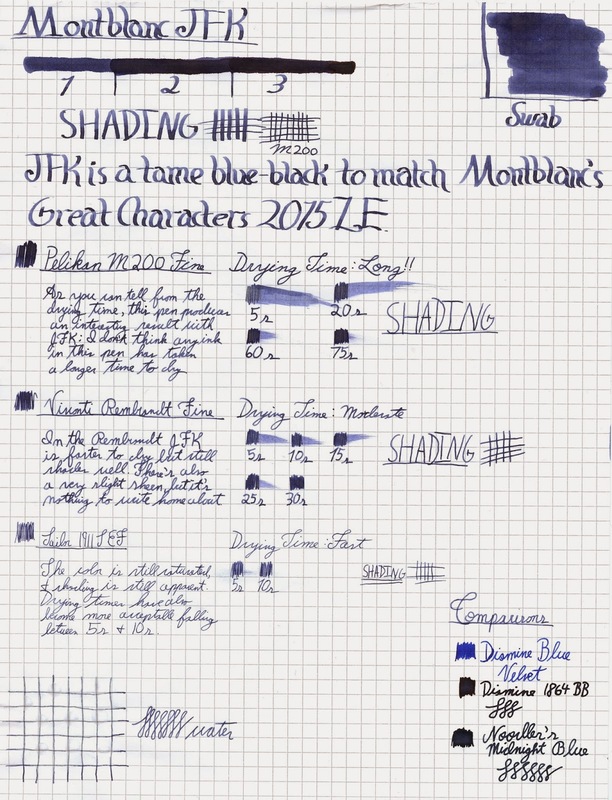 This ink performs fairly well, but at over 60¢/mL -- which is 4¢/mL more than Iroshizuku and only a few tenths of a cent less expensive per mL than Caran d' Ache's inks, I would recommend instead looking into a less expensive blue-black such as Diamine Regency Blue, Montblanc's standard Midnight Blue, or Pelikan Edelstein Tanzanite. For best viewing, open this image in a new tab.